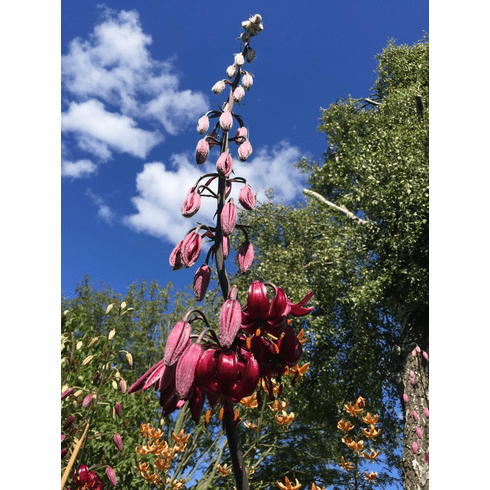 Home | More to consider... | FAQ | Fun Stuff | Photo Gallery of Wild Lilies | Wild Lilies Photo Gallery | 'Lilium martagon var. L. martagon var. sanguino purpureum, a ssp discovered and named by Beck in 1890. is native to the Balkans it is somewhat rare and is difficult to find for adding to the garden. Photo copyright Alan Mitchel, Scotland, all rights reserved.. Used with permission.